Fortunately, South Carolina is a relatively free state when it comes to guns, and there are only a few laws that you’ll need to worry about to make sure you stay on the right side of the law. We’ve got everything you need to know about how to buy a gun and be a responsible gun owner in the Palmetto State! As a gun-friendly state, South Carolina does not put too many restrictions in the way of anyone looking to buy a handgun. In fact, no permit or license is required to buy or own a firearm. That doesn’t mean you can just stroll into your local gun store and grab a Sig off the shelf though. If you decide to buy a handgun from someone through a private sale, then you can avoid the background check completely! Though you won’t be able to get a brand new gun this way, so you’ll have to decide if it’s worth the hassle. In addition to those couple of steps above for buying a handgun, there are certain situations that would prohibit you from buying a handgun. Have been adjudicated mentally incompetent. Hopefully none of those situations apply to you, in which case, you’re good to go! If you’re not old enough to buy a handgun, not to worry! You can temporarily use a handgun during a handgun course, if you are under the immediate supervision of an adult or instructor. That means as long as you have adult (i.e. someone 21 or older who is legally allowed to own a handgun) supervising you, you can practice those follow up shots all day long! While you’re out buying your handgun, you might as well pick up a long gun to go with it! The point of your handgun is to fight to your rifle, so you gotta have a rifle too, right? Luckily, the process of buying a rifle is just as simple as it is for handguns. In fact, the requirements are even less strict! Just like with handguns, you can skip the background check if you are buying your long gun from a private individual, rather than a licensed firearms dealer like your local gun store. Of course, the same reasons that would prevent you from being able to buy a handgun also prevent you from getting a long gun too. Good news! As long as the firearm you are buying qualifies as an antique firearm, you don’t have to worry about any of the gun laws we just talked about! Antique firearms are treated like any other non-firearm item that you would buy at Walmart. But you need to make sure the firearm you’re buying actually is considered an antique for this exemption! An antique firearm is any firearm manufactured before 1899 that is not designed (or redesigned) to use rimfire or conventional centerfire ignition with fixed ammunition, or any replica of a firearm containing the same features, and the fixed ammunition used by these firearms is no longer manufactured in the US and is not easily available through ordinary markets. In other words, that flintlock, or that replica of a flintlock, anyway, is exempt from all of the firearms purchasing rules, as long as it does not use any rimfire or centerfire ammo or any type of ammo that can be purchased off the shelf. Once you’ve got your gun in hand, you’ll need to be careful where you take it! 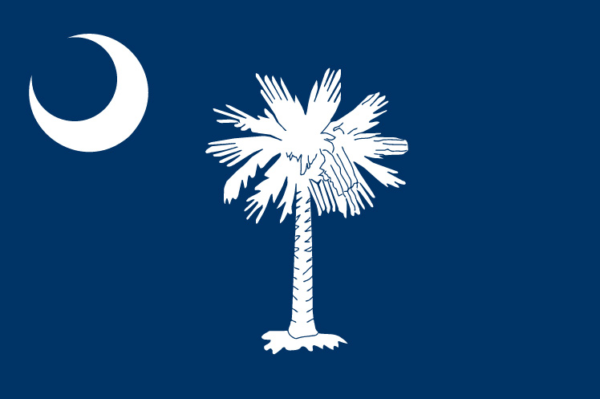 Open carry of handguns is not allowed in South Carolina. Long guns, however, are perfectly fine. That doesn’t mean you can’t carry a handgun at all though. Carrying an unloaded handgun in a secure wrapper to, or from, the gun store or the gunsmith. Of course, if you don’t want to be limited to carrying your handgun to only these situations, then you should head on over to our South Carolina CCW section after finishing up here. We’ve got all the information you need on how to apply for a CCW permit to carry concealed, and the laws to watch out for when carrying. Even if you aren’t carrying your firearms around town, you’ll still need to be careful when transporting your firearms in a vehicle. Whenever you have firearms in the car, you need to make sure they are secured in a closed trunk or container. 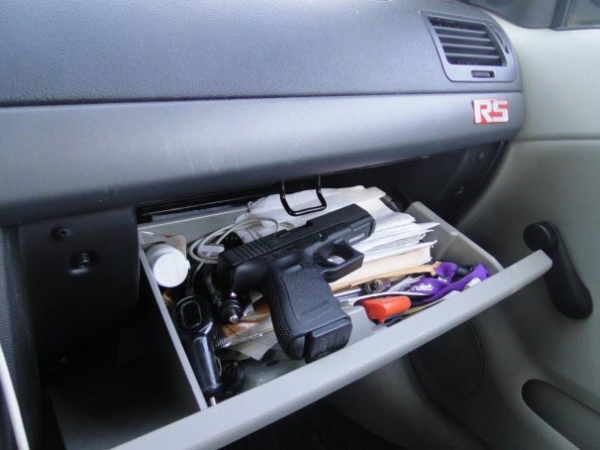 For handguns, they can be stored in the glove compartment or console too, not just the trunk. No matter where you store it though, you’ll need to make sure the container is secured and locked. Just enough room for your Glock! If you’re on a motorcycle, you will need to have your handgun secured in a saddlebag or other closed container that is attached to the motorcycle. The container does not have to be permanently attached though, but it’s probably a good idea if you plan on carrying while riding on your motorcycle. If you are one of our antique-collecting friends, keep in mind, that just because antique firearms do not have to follow the same rules for purchase, does not mean they do not have to follow the rules for carrying. In terms of carrying firearms, antique firearms are treated the same as modern ones. You cannot have that flintlock strapped to your hip while you’re out at dinner, as badass as that would be. Sorry. With all this talk of firearms, there are also plenty of people who are looking into non-lethal options, such as pepper spray. Some of you might get the crazy idea that tear gas might be a good option. Even though tear gas would be pretty awesome to use against a burglar, it is actually illegal to have a tear gas machine or tear gas guns in the Palmetto State. And for those of you looking for alternative types of ammo to use, South Carolina prohibits teflon-coated ammunition or shells, so you’ll want to avoid having anything to do with that. Not only is it illegal to use them, but even making, selling, or transporting them is illegal. Just don’t do it! When to actually use your guns? Hopefully none of us will ever have to discharge our firearms outside of the shooting range or while hunting. However, the state of South Carolina recognizes that the purpose of firearms is ultimately for the self-defense of its citizens, and so has put laws on the books allowing for the use of deadly force in self-defense situations. 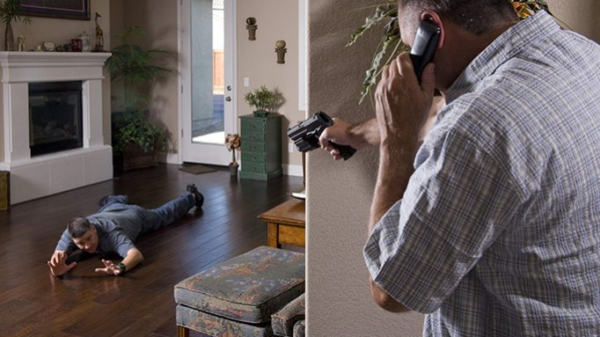 Under what is commonly known as the “Castle Doctrine”, South Carolina allows for a person to use deadly force to defend himself or others when he is at home. Is attempting to or is removing another person against his will from a residence or occupied vehicle. It’s important to keep in mind that the law allows you to use deadly force to defend yourself and others against someone who has entered your residence or occupied vehicle. Someone breaking into your car at night while you’re asleep in your bedroom does not call for use of deadly force. If they are breaking into your bedroom, then all bets are off. Aside from being able to defend yourself while you’re at home (or in your car), residents of South Carolina can also defend themselves under the “Stand your ground” law. Under the law, as long as you are somewhere you are legally allowed to be, you do not have a duty to retreat before using deadly force, if you reasonably believe it is necessary to prevent death or great bodily injury to yourself or another person, or to prevent a violent crime. And we’re done! 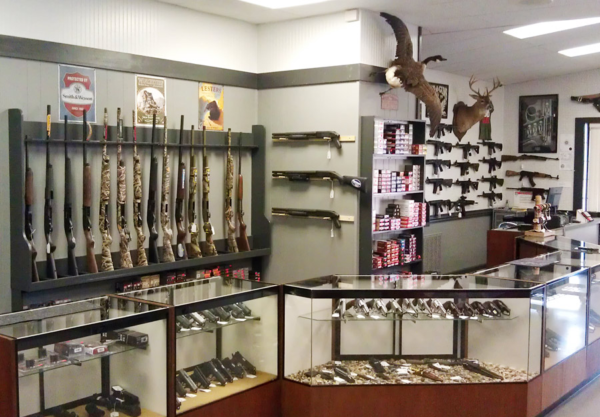 With your newfound knowledge of the gun laws of South Carolina, you can start that new gun collection you’ve always wanted. Hope you’ve been saving up!